LCWFS or Low Cooling Water Flow Switch is important safety switch to prevent the breakdown to an air compressor. When there is no flow of water or insufficient flow this switch will operate and stop the compressor. 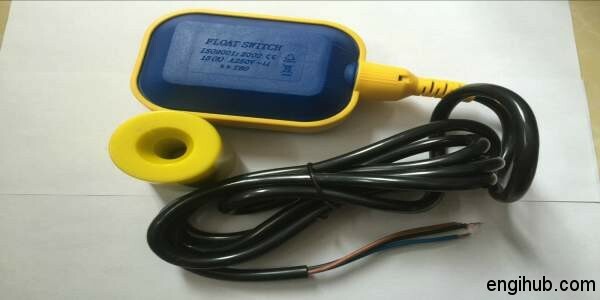 Instead of giving details about Low cooling water pressure switch (LCWPS) I am giving you details about Low Cooling Water Flow Switch (LCWFS). So, why am I doing this? Not for any particular reason, but the operation & setting of LCWPS is same as LOPS (Low Oil Pressure Switch). Same INDFOS Make-IPS 70 switch is used as LOPS & LCWPS, the only difference is “LCWPS” used in discharge (outlet) water line of closed circuit system or in water inlet (between inlet valve & compressor) for open drain type system of an air compressor. Flow switch (LCWFS) should preferably be mounted in a horizontal section of cooling water pipe. Where there is a straight horizontal of at least five pipe diameters on either side of the flow switch (LCWFS). Weld a socket of 1″ BSP thread on water inlet line. So, the free movement of the flapper in a pipe without rubbing the side will achieve. Open the instrument cover, remove spring hook from the horizontal balancing arm & refit after the instrument is mounted on the pipe. The flapper of LCWFS must be at right angle to the flow & the arrow mark on the body is in the same direction of water flow. Check the operation of flow switch (LCWFS). Must ensure that the flapper is free to move the water pipeline. The pressure applied to the sensor creates a force against the balance plate through the operating rod. The upward movement of the balance plate is countered by a continuously adjustable range spring. Hence it is used for setting pressure values. When the input force overcomes the spring tension, the balance plate just moves and operates the microswitch. On reduction of the applied pressure of the flow, the micro-switch is automatically reset & balance plate is restored to its original position. This is an important safety of Air Compressor Engineering. LCWFS must be in working condition to avoid any breakdown to the compressor. Now know about the operation. Identify the NO & NC contact of the microswitch and check the function of a switch by moving flapper to and fro. Fit the Switch in the pipe, open water inlet & outlet valve fully, at this maximum flow Normal Open (NO) contact will close. Reduce the water flow to a minimum requirement of Air Compressor & rotate the adjusting range spring, so that the switch (LCWFS) is to be set this range as its normal condition i.e. Normal Open contact remain open. Then increase the water flow to the fair requirement, now this NO (Normal Open) contact must close. If not, adjust the screw. Check the actual operation of the microswitch (LCWFS) by gradually opening & closing the water outlet valve. So that as the water flow falls to the minimum requirement. The contact must open, and close when the flow reaches fair requirement. Do not avoid safety switches. It will protect your Air Compressor from breakdown.